Reflections, observations, random thoughts and bon mots, relating to the literary and geographic landscapes of American history. And book reviews too. 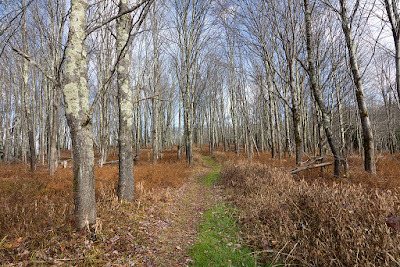 Forest of Randolph County, West Virginia. Photo by Carol Highsmith. Library of Congress. It was in the autumn of that "most immemorial year," the 1861st of our Lord, and of our Heroic Age the first, that a small brigade of raw troops—troops were all raw in those days—had been pushed in across the Ohio border and after various vicissitudes of fortune and mismanagement found itself, greatly to its own surprise, at Cheat Mountain Pass, holding a road that ran from Nowhere to the southeast. Some of us had served through the summer in the "three-months' regiments," which responded to the President's first call for troops. We were regarded by the others with profound respect as "old soldiers." (Our ages, if equalized, would, I fancy, have given about twenty years to each man.) We gave ourselves, this aristocracy of service, no end of military airs; some of us even going to the extreme of keeping our jackets buttoned and our hair combed. We had been in action, too; had shot off a Confederate leg at Philippi, "the first battle of the war," and had lost as many as a dozen men at Laurel Hill and Carrick's Ford, whither the enemy had fled in trying, Heaven knows why, to get away from us. We now "brought to the task" of subduing the Rebellion a patriotism which never for a moment doubted that a rebel was a fiend accursed of God and the angels—one for whose extirpation by force and arms each youth of us considered himself specially "raised up." from "On a Mountain," by Ambrose Bierce. Read Bierce's Cheat Mountain story in its entirety at the Civil War Trust site. Photo by Carol Highsmith, Library of Congress. A handy go-to link to send to your friends and associates who are confused by the weed-like tenacity of neo-Confederate propaganda, which has found new life in the internet age. The National Archives in Washington holds unknown and uncountable little treasures, and it's always a thrill to hear of some new tidbit coming to light. Archivists and researchers spend long hours, weeks and years, combing through, organizing, and cataloging items in the nation's miscellanea without catching a glint of a shiny nugget in the pan, or without understanding the significance of particular documents. But sometimes they hit paydirt, and know it at a glance. Interesting discoveries are regularly reported, and two Civil War-related items caught my attention this week. 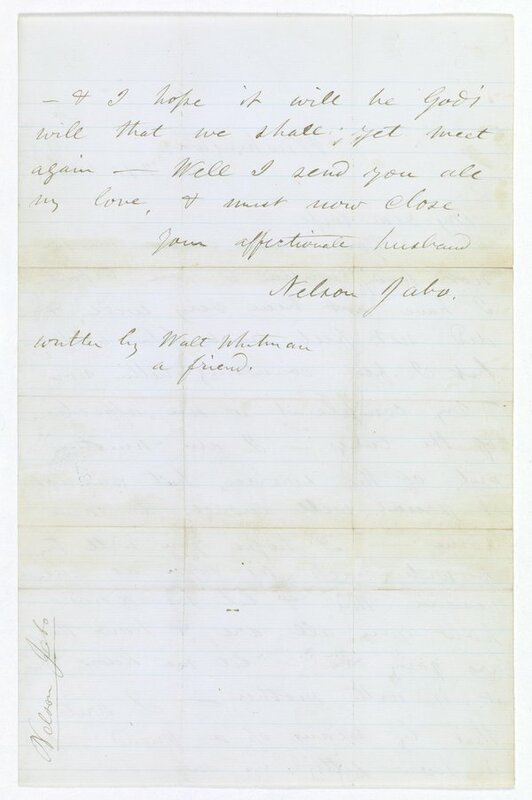 A true golden nugget surfaced recently in the form of a letter written by Walt Whitman on behalf of a dying soldier. 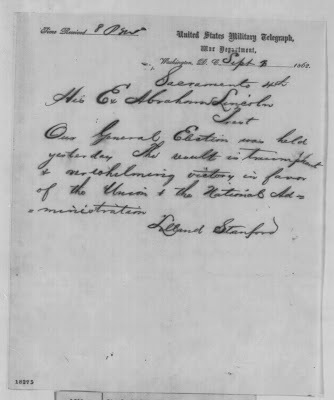 According to Smithsonian.com (quoting The Washington Post), "Catherine Cusack Wilson was doing volunteer work for a digitization project on Civil War widows’ pension files when she ran across the letter. 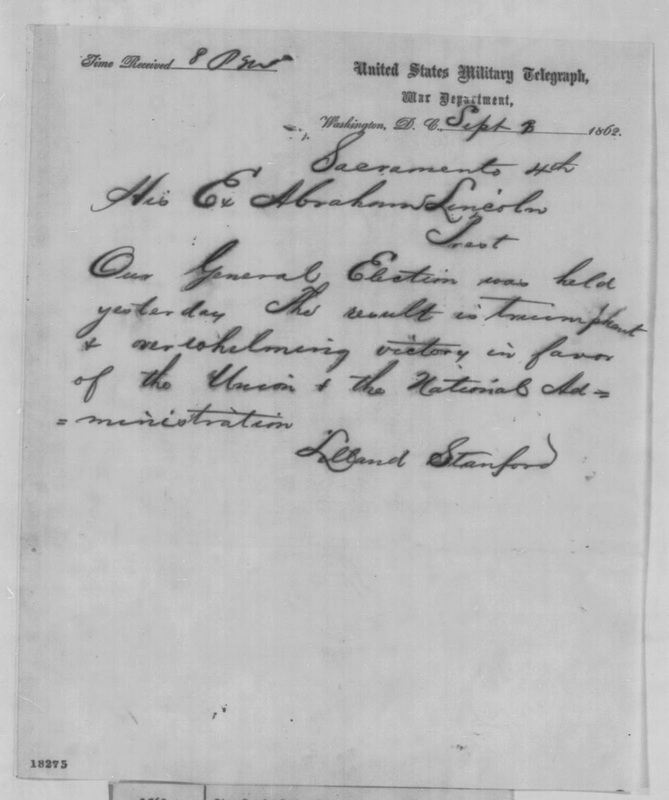 Ruane writes that she saw the postscript 'Written by Walt Whitman, a friend' on the correspondence, and realized that the letter, dictated by an illiterate soldier at Washington’s Harewood Hospital, was penned by the poet." 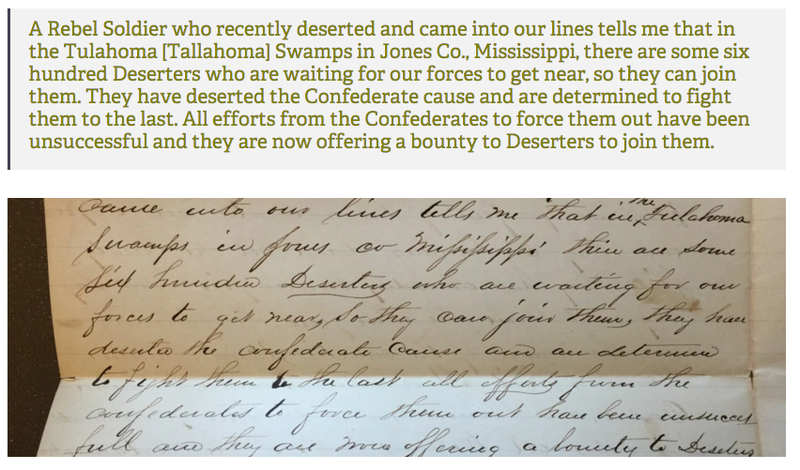 Another neat find was an 1864 letter that makes passing reference to the Free State of Jones, uncovered by historian Adam Domby. That's a particularly timely item given the upcoming May release of a movie on that subject, based on Victoria Bynum's book. 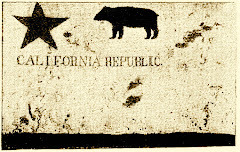 Victoria discusses Domby's find on her blog, Renegade South. I conducted an online interview with Victoria about her book way back in 2001, when Matthew McConaughey was still a harmless Wedding Planner. I'm looking forward to the release of the new film. I missed this when it aired on the Smithsonian Channel back in 2013, but am happy to have a look now at my leisure, thanks to Netflix. The program enlivens a routine narrative of the Civil War by stopping now and then to examine objects that played small but telling roles. A slave’s diary. A photograph of a woman and child found on a dead Union soldier at Gettysburg. The top hat Abraham Lincoln wore to Ford’s Theater. The flag of truce — actually an ordinary dish towel a Confederate captain had recently bought in Richmond — used at Appomattox. Each episode relates a particular perspective on the war, and each has its own celebrity guide. The actress Ashley Judd opens with the Union view, the country singer Trace Adkins brings his impossibly deep voice to the Confederate angle, and the actor Dennis Haysbert is most compelling of all as he explores what the war meant to enslaved people. Each has a connection to the conflict: relatives of Ms. Judd and Mr. Adkins fought for one side or the other, and Mr. Haysbert has slaves among his ancestors. Tommy Lee Jones: "Am I dead?" John Bell Hood: "You don't look like it to me"